Bone loss around teeth is a common dental issue among those in their golden years. This is usually caused by a combination of the body slowing down and possible lapses in taking care of the teeth. At A Plus Dental, we offer bone grafting as a solution for those suffering from bone loss. The result is the restoration of your facial structure, jaw ridge, and overall improvement of your dental health. Progressive bone loss is often caused by missing teeth. When a tooth is missing, the natural interplay between the tooth and the jawbone is disrupted. The bone loses the stimulation needed to retain structure, and this causes bone loss. Some common causes of missing teeth are tooth decay, gum disease, and accidents. Dental restorations can fix these problems. 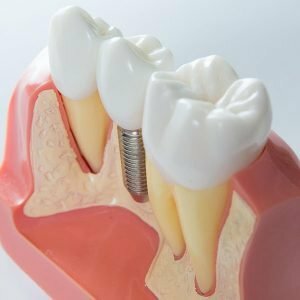 Dental implants offer a permanent solution by integrating a metal post in the gap, to serve as the tooth of the root, and being capped with a dental crown. However, such dental restorations require that your jawbone is healthy. The longer you delay treatment, the weaker the bone gets, lessening your candidacy for dental implants. When this happens, bone grafting is recommended. Your dentist removes a portion of bone from another area and transfers it to the target site to increase bone mass. After some time, the bone is ready for the implant. Dental implant is not the only dental procedure that may require bone grafting. Denture wearers, recent extractions, dental anomalies, and oral cancer are also some of the issues that call for the procedure. There are different types of bone grafting procedures available for your specific needs. Your dentist will assess your condition and determine which is best for you. Autograft – bone used is taken from your body, could be from the pelvis, chin, or the wrist. Allograft – bone used is either synthetic or may be taken from a deceased donor or cadaver from a tissue bank. Xenograft – bovine bone or cow bone is used for the procedure. Bone grafting is recommended for patients who have the following. Keeping your oral health at its best isn’t just about caring for your teeth. Your jawbone needs equal attention as well. 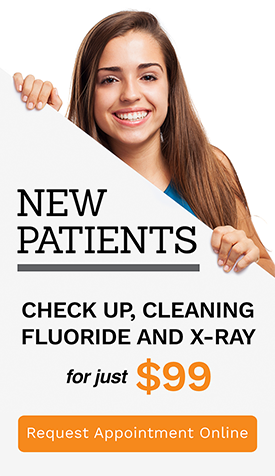 A Plus Dental is your trusted dental partner in Campbelltown ensuring overall optimum oral health.